SB 39, as amended, Hill. Tobacco products. Existing law, the Stop Tobacco Access to Kids Enforcement (STAKE) Act, prohibits the sale, distribution, or nonsale distribution of tobacco products, as defined, directly or indirectly to any person under 21 years of age through the United States Postal Service or through any other public or private postal or package delivery service. Existing law requires a person selling or distributing tobacco products directly to a consumer through the United States Postal Service or by another postal or package delivery service to comply with specified age-verification policies. policies and deliver only to the consumer’s verified mailing or billing address, as applicable. Existing law authorizes enforcing agencies to assess civil penalties for violations of the STAKE Act. This bill would additionally require sellers, distributors, and nonsale distributors to deliver tobacco products only in conspicuously marked containers, as specified, and to obtain the signature of a person 21 years of age or older before delivering a tobacco product. The bill would allow a person to designate an address for delivery that is different from the person’s mailing or billing address, if the persons’s mailing or billing address has been verified in accordance with specified provisions. (a) The sale, distribution, or nonsale distribution of tobacco products directly or indirectly to any person under 21 years of age through the United States Postal Service or through any other public or private postal or package delivery service at locations, including, but not limited to, public mailboxes and mailbox stores, is prohibited. (1) (A) Before enrolling a person as a customer, or distributing or selling, or engaging in the nonsale distribution of, the tobacco product through any of these means, the distributor or seller shall verify that the purchaser or recipient of the product is 21 years of age or older. The distributor or seller shall attempt to match the name, address, and date of birth provided by the customer to information contained in records in a database of individuals whose age has been verified to be 21 years or older by reference to an appropriate database of government records kept by the distributor, a direct marketing firm, or any other entity. In the case of a sale, the distributor or seller shall also verify that the billing address on the check or credit card offered for payment by the purchaser matches the address listed in the database. (B) If the seller, distributor, or nonsale distributor, is unable to verify that the purchaser or recipient is 21 years of age or older pursuant to subparagraph (A),he or she the seller, distributor, or nonsale distributor shall require the customer or recipient to submit an age-verification kit consisting of an attestation signed by the customer or recipient that he or she the customer or recipient is 21 years of age or older and a copy of a valid form of government identification. For the purposes of this section, a valid form of government identification includes a driver’s license, state identification card, passport, an official naturalization or immigration document, such as an alien registration receipt card (commonly known as a “green card”) or an immigrant visa, or military identification. In the case of a sale, the distributor or seller shall also verify that the billing address on the check or credit card provided by the consumer matches the address listed in the form of government identification. (2) In the case of a sale, the distributor or seller shall impose a two-carton minimum on each order of cigarettes, and shall require payment for the purchase of any tobacco product to be made by personal check of the purchaser or the purchaser’s credit card. No money order or cash payment shall be received or permitted. The distributor or seller shall submit to each credit card acquiring company with which it has credit card sales identification information in an appropriate form and format so that the words “tobacco product” may be printed in the purchaser’s credit card statement when a purchase of a tobacco product is made by credit card payment. (3) In the case of a sale, the distributor or seller shall make a telephone call after 5 p.m. to the purchaser confirming the order prior to shipping the tobacco products. The telephone call may be a person-to-person call or a recorded message. The distributor or seller is not required to speak directly with a person and may leave a message on an answering machine or by voice mail. (B) In the case of a nonsale, a recipient may designate an alternative address for delivery, if the recipient’s mailing address has been verified in accordance with this section. (C) In the case of a sale, a purchaser may designate an alternative address for delivery, if the purchaser’s billing address has been verified in accordance with this section. (D) A delivery described under this section shall not be permitted to any post office box. (6) Upon the delivery of the tobacco product to the recipient’s or purchaser’s address, the seller, distributor, or nonsale distributor shall obtain the signature of a person 21 years of age or older before completing the delivery. (c) Notwithstanding subdivisions (a) and (b), if a seller, distributor, or nonsale distributor, complies with all of the requirements of this section and a person under 21 years of age obtains a tobacco product by any of the means described in subdivision (b), the seller, distributor, or nonsale distributor is not in violation of this section. (d) For the purposes of the enforcement of this section pursuant to Section 22958, the acts of the United States Postal Service or other common carrier when engaged in the business of transporting and delivering packages for others, and the acts of a person, whether compensated or not, who transports or delivers a package for another person without any reason to know of the package’s contents, are not unlawful and are not subject to civil penalties. (e) (1) (A) For the purposes of this section, a “distributor” is any person or entity, within or outside the state, who agrees to distribute tobacco products to a customer or recipient within the state. The United States Postal Service or any other public or private postal or package delivery service is not a distributor within the meaning of this section. (B) A “nonsale distributor” is any person inside or outside of this state who, directly or indirectly, knowingly provides tobacco products to any person in this state as part of a nonsale transaction. “Nonsale distributor” includes the person or entity who provides the tobacco product for delivery and the person or entity who delivers the product to the recipient as part of a nonsale transaction. (C) “Nonsale distribution” means to give smokeless tobacco or cigarettes to the general public at no cost, or at nominal cost, or to give coupons, coupon offers, gift certificates, gift cards, or other similar offers, or rebate offers for smokeless tobacco or cigarettes to the general public at no cost or at nominal cost. Distribution of tobacco products, coupons, coupon offers, gift certificates, gift cards, or other similar offers, or rebate offers in connection with the sale of another item, including tobacco products, cigarette lighters, magazines, or newspapers shall not constitute nonsale distribution. (2) For the purpose of this section, a “seller” is any person or entity, within or outside the state, who agrees to sell tobacco products to a customer within the state. The United States Postal Service or any other public or private postal or package delivery service is not a seller within the meaning of this section. (3) For the purpose of this section, a “carton” is a package or container that contains 200 cigarettes. (1) A civil penalty of not less than one thousand dollars ($1,000) and not more than two thousand dollars ($2,000) for the first violation. (2) A civil penalty of not less than two thousand five hundred dollars ($2,500) and not more than three thousand five hundred dollars ($3,500) for the second violation. (3) A civil penalty of not less than four thousand dollars ($4,000) and not more than five thousand dollars ($5,000) for the third violation within a five-year period. (4) A civil penalty of not less than five thousand five hundred dollars ($5,500) and not more than six thousand five hundred dollars ($6,500) for the fourth violation within a five-year period. (5) A civil penalty of ten thousand dollars ($10,000) for a fifth or subsequent violation within a five-year period. 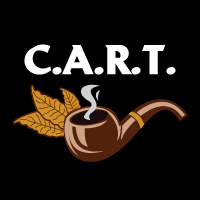 California Association of Retail Tobacconists, Inc.
CART is organized, administered and operated exclusively to receive, administer and expend funds to promote and represent the common business interests of and improve the business conditions among all retail tobacconists. This website and all of its published content is strictly for users age 21 or above. Not all legal requirements related to tobacco products are discussed in the contents of this site. Please remember that it is your responsibility to comply with all applicable provisions of the FD&C Act, and other federal, state, or local requirements that apply to you.